Today we’d like to introduce you to Christopher G. Gallo. 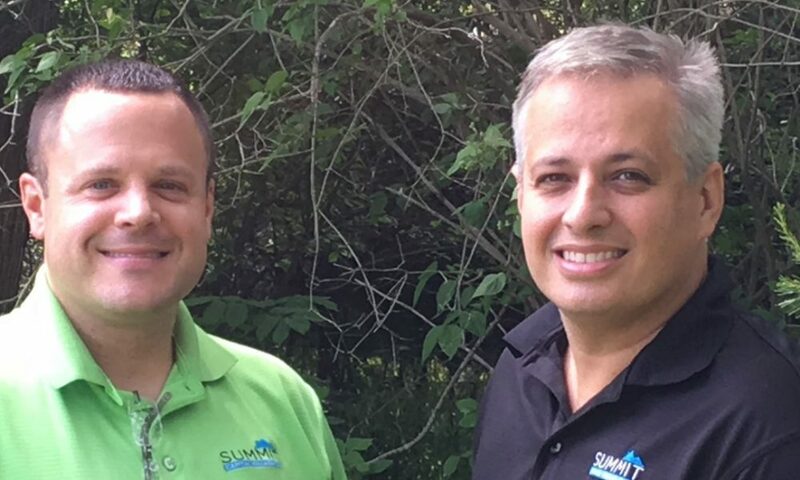 Mark and Chris were High School friends who lost touch during the college years but got reacquainted by a mutual friend who noticed that they both were doing similar projects in Real Estate Investment and Development. Mark and Chris met for a coffee and noticed that they had very similar goals, values, and business models and thought they should try doing a deal together. One 2 family in Brockton on Denton St turned into a 100+ building 400+ unit Real Estate Portfolio servicing the Boston South, South Shore, South Coast markets. They were constantly raising capital for their deals and using many sources of banks, private investors and private capital to do so. They realized that there was an underserviced Investor (them) that needed access to capital to fund real estate deals, and many times banks would either not be interested or move too slowly for these investors. After reaching out to some friends and fellow investors they decided to form Summit Capital Management to cater to these Real Estate investors who need access to short-term capital and need fast turnaround times. Today Summit Capital Management is doing just that, with over $10 million in loans on the street as of today, and a growing network of both investors and borrowers, Summit is providing great service, very competitive terms with the goal of doubling the company in the next 12 months. Mark and Chris feel that they have a huge competitive advantage being local and active investor/developers themselves as they know what these borrowers are up against, the challenges they face, and what they need to be successful. Business is never a smooth road! We have had our share of ups and downs, but by our strong Faith and hard work we have been and continue to be blessed! We both also believe in a good balance between work and family time, as our industry is high stress and causes many people to burn out. We face many of the same challenges that other small business face today, soaring health care costs, taxes, and a business environment that is often challenging for a small business to flourish. Back when we started we remember almost having to beg banks to loan us money for a deal, now banks call us wanting a shot at earning our business. Any business partnership can be challenging, but we balance each other out and try to listen and respect the other person. So let’s switch gears a bit and go into the Summit Capital Management story. Tell us more about the business. Summit Capital Management is a local, family owned and operated hard / private money lender, who finances investment real estate deals for borrowers in the Boston, South Shore, and South Coast Markets. We loan money on real estate deals that traditional banks will either not do or take too long to do, serving an unbelievably talented group of local Real Estate Investors / Developers. We also have an investment vehicle for people with cash in bank accounts, money in self-directed IRAs that are not happy with how the stock market has treated them. We offer Real Estate back investments giving our investors returns of 7-10%! We are known for great service, fast turnaround times and very aggressive rates /terms. We are most proud of building this company from the ground up, we are proud of our unbelievable employees, colleagues, borrowers, and friends. What sets us apart from others, we believe it is our service, our experience as investors, and our goal of maximizing our God given abilities to give it our best each and every day, especially when things are challenging. We are in a Red Hot Real Estate Market as we speak. It is great but it also makes us concerned as we like to be conservative with our investments and loans. Overall we believe that we will continue to see a strong market for the foreseeable future barring any major shifts, policy changes etc. Real Estate, is a fantastic investment even as markets correct as like a mutual fund if you buy right you can ride out short-term corrections and gain long-term wealth. We do however caution / remind ourselves and our borrowers of the last bubble in 2007, where many people lost a lot of money. So we always try to minimize/mitigate risk and hedge against any unforeseen downturn.